The Enough Food for All IF campaign was launched earlier this year in response to the growing numbers of people globally who are experiencing hunger, but the shocking reality is that upwards of half a million people are also now reliant on food handouts across the UK. Stephen Gordon has done everything he can to get his life back on track since leaving prison, but when his benefits were stopped for two months due to a mix-up, he had to borrow money just to eat. 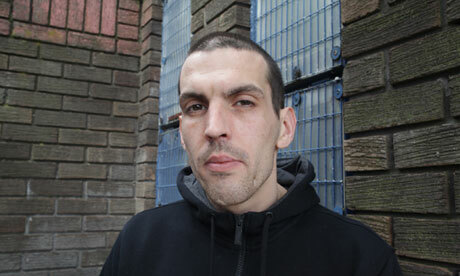 Stephen, 32, from North Manchester is desperate to find work and turn his life around after spending time in prison. But when his benefits were stopped due to an administrative error in January, he was left destitute and has lost almost two stone in weight. Stephen’s is not an isolated experience. Every day, increasing numbers of people are going to bed hungry across the UK. Not because we are a poor country – we’re not. Not because there is not enough food for everyone – there is. It’s unfair, it’s unjust – and it’s totally preventable. The explosion in food poverty undermines the UK’s commitment to ensuring that all its citizens have access to food – one of the most basic of all human rights. Well in excess of half a million people are now reliant on food aid, and this number is likely to escalate further over the coming months. The Trussell Trust alone has seen a trebling in the numbers at their foodbanks in the past 12 months to a staggering 350,000 people. The growth in food aid demonstrates that the welfare net is failing in its basic duty to ensure that families have sufficient income to feed themselves adequately. Food banks are worthy attempts at short term mitigation, but cannot on their own address the underlying causes of the growth of food poverty. Up to half of all people turning to food banks are doing so as a direct result of having benefit payments delayed, reduced, or withdrawn altogether. According to research by the Trussell Trust and Citizens Advice, changes to the benefit system are the most common reasons for people using food banks; these include changes to crisis loan eligibility rules, delays in payments, Jobseeker’s Allowance sanctions and sickness benefit reassessments. The increase in the number of people using food banks is also driven by unemployment, increasing levels of underemployment, low and falling income and rising food and fuel prices. The National Minimum Wage and benefits levels need to rise in line with inflation, in order to ensure that families retain the ability to live with dignity and to afford to adequately feed, clothe and heat themselves. There is a real risk that the benefit cuts and the new Universal Credit will lead to even larger numbers being forced to seek food aid – and that food banks will not have the capacity to cope with the demand. It is unacceptable that whilst thousands are being forced to turn to food banks to feed themselves, wealthy individuals and corporations continue to dodge their obligation to pay their fair share of taxes. 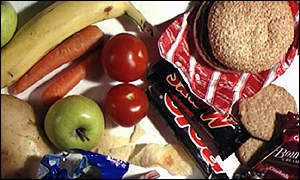 That’s why, Church Action on Poverty, Oxfam and the Trussell Trust are calling for an urgent Parliamentary Inquiry by the Work and Pensions Select Committee into the relationship between benefit delay, error or sanctions; welfare reform changes and the dramatic growth in food poverty across the UK. At the same time, we’re also calling on the Prime Minister to make tackling tax dodging an urgent priority, by promoting robust and coordinated international action at the forthcoming G8 meeting in Northern Ireland – to reduce the need for further cuts in benefits, including further caps at below-inflation levels in future. Visit our website now to email your MP and add your voice to our call. This entry was posted in Fair Prices, Food Fuel Finance, Food poverty, Niall Cooper, Poverty Premium, Uncategorized by niallcooper. Bookmark the permalink. Begets the ruins of the 1% welfare state.